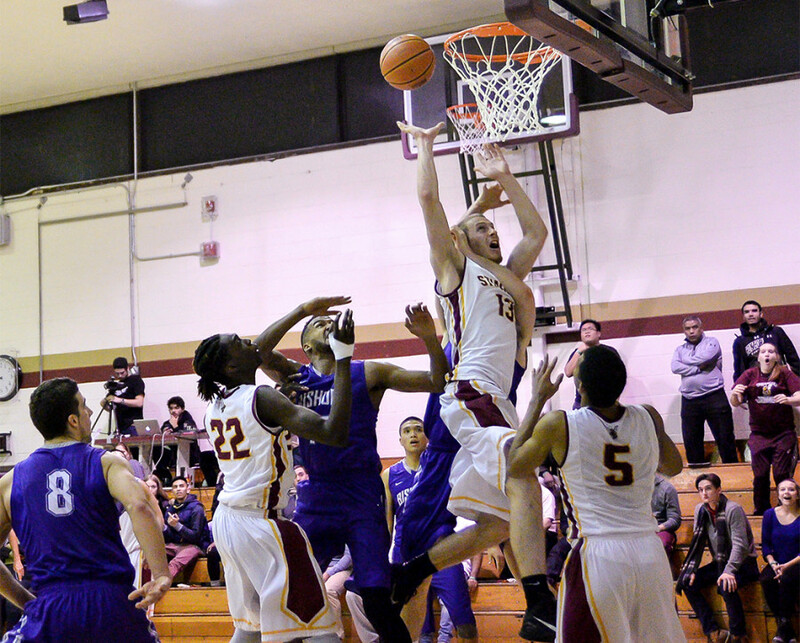 Stingers Alumnus Signs Professional Contract With Basket Club Liévinois in Liévin, France. All-Star Ken Beaulieu is heading to France. Photo Matt Garies. Known for his smashing dunks, the Stinger got his professional offer in an odd way. “I woke up one morning and got a message from a guy I didn’t know saying he has contacts in France and that there was a coach looking for a player like me,” said Beaulieu. Club Lievinois approached Beaulieu and asked if he was interested in joining their team. Beaulieu agreed without any hesitation. The former Stinger signed a ten month contract with BCL and will be traveling to France for the first time August 1. His contract has the potential to be extended as the BCL coaching staff informed him that his time with them can last longer than the initial period mentioned in his contract. “I don’t know how their season works so maybe it depends on the playoffs or if there’s something after the playoffs. I don’t know,” explained Beaulieu. The Concordia alumnus didn’t have any specific plans for his post-graduation career, so playing professional basketball was a stroke of good fortune for him. “I always told myself that I wanted to try to play pro because I always only knew basketball,” said Beaulieu. He mentioned that he would have no idea what to do if basketball wasn’t a vital element in his life since his younger days. “I know that if I didn’t try I would regret it for the rest of my life, and I didn’t want that,” he replied in regards to his professional opportunity overseas. Concordia men’s basketball head coach Rastko Popovic expressed his pride in his former player’s accomplishments. “When you look at guys like Ken getting his degree, being an all-star and now getting the chance to go and play pro in France, I think that shows what you can do if you are actually putting the time and work, the right attitude and the right state of mind. I’m really happy with how Ken has finished here”, said Popovic. Beaulieu’s teammate and second team all-star Ricardo Monge was also overjoyed by his teammate’s new adventure describing it as a dream come true. “I’m so happy that Ken gets to experience something cool. Moving to another country, to do the thing you love the most and getting paid for it at the same time, nothing more fulfilling in my opinion,” he said. Beaulieu was an extremely important part of his team’s success during the past four seasons. He averaged 31 minutes of playing time a night during the 2018 season, scoring 12.6 points on average as well as 7.4 rebounds. He was the team leader in both categories. Beaulieu was also a first-team all-star three times and a second-team award winner during his rookie season. Beaulieu described his four years playing for Concordia University as the best four years of his life.